Celebrating an end of year school milestone is exciting, deserving of a memorable party! Our beautifully decorated formal venues make the perfect setting for a glamorous event. Make the most of our Sydney Harbour venue backdrops and opulent interiors for all those social media posts. 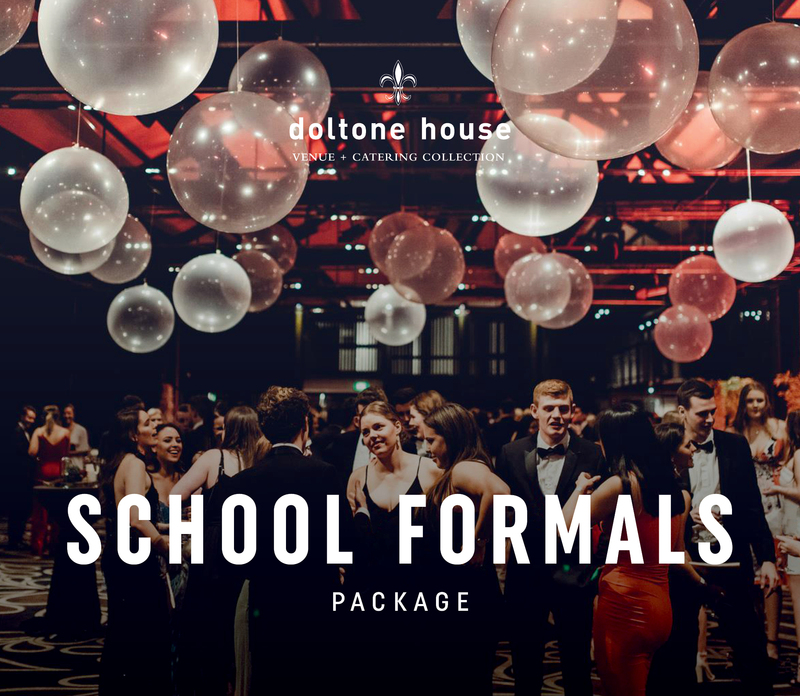 Be the cool school to celebrate at Doltone, but hurry, spaces book out fast during school formal season!